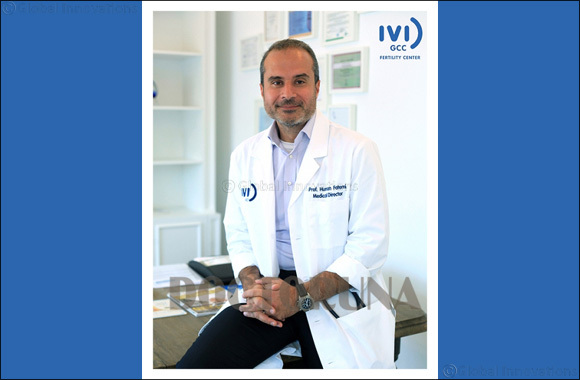 Abu Dhabi, UAE, 29 October 2018: With an aim to enhance fetal care, IVI Middle East has announced the launch of IVI Fetal Medical Center as a part of its extensive portfolio of services. The new facility will provide comprehensive diagnosis and screening for pregnant women with low as well as high-risk pregnancies. The new service will focus on achieving a healthy pregnancy for those expecting. The specialists at the Fetal Medicine clinic utilise advanced technologies to screen and prevent any complications that may arise in both low and high-risk pregnancies through in-time and accurate diagnosis. “IVI Middle East Fertility Clinic has had a longstanding reputation for working towards achieving a healthy pregnancy. It gives me immense joy to announce that the very renowned Dr. Desislava Markova is now a part of IVI Middle East Medical Center as the Lead of Fetal Medicine. All our patients – IVF or non-IVF are delighted at the introduction of fetal services. By including this advanced area of medicine, we have an opportunity to address health concerns faced by expectant mothers, whether low-risk or high risk,” said Prof Dr Human Fatemi, Subspecialist Reproductive Medicine & Reproductive Surgery and the Medical Director, IVI Middle East Fertility Clinic. While the clinic will offer diagnosis and treatment for women who have achieved pregnancy through IVF as they are prone to issues such as high blood pressure, small baby, bleeding and recurrent miscarriages, it will also offer services for women of advanced maternal age or those who have an increased risk of chromosomal and genetic anomalies and other risk factors. According to Dr. Desislava, Lead Fetal Medicine at IVI, “our diagnosis comprises of a comprehensive process which includes first an ultrasound along with a few initial tests that help diagnose whether the pregnancy is a low or a high-risk one. High-risk pregnancies involve fetal concerns such as chromosonal or genetic abnormalities, multiple pregnancies, fetal cardiac abnormality, poor fetal growth, ectopic pregnancy and many other concerns that can come in the way of a healthy pregnancy leading the pregnancy to end before full term. Post the preliminary screening a further in-depth screening and diagnosis are carried out within which test findings are analysed, risk assessment is undertaken and the right management options for the patient and her unborn are recommended”, she added. With the introduction of fetal screening and diagnosis at IVI Middle East, the growing and unmet needs of low and high-risk maternal and fetal population in the UAE will be addressed. The scope of services at the IVI Medical Center for Fetal Medicine are NT Scan (Nuchal Translucency) 11-14 weeks with β HCG and PAPP-A, Detailed Anatomy Scan, Growth Scan, Fetal Doppler Scans (Umbilical Artery, Middle Cerebral Artery, Ductus Venosus and Uterine Artery Dopplers), Fetal Echocardiography, Cervical Length Assessment, Chorionic Villus Sampling (CVS), Amniocentesis, Maternal Blood Test for Fetal DNA (NIPT), Genetic or Preconception Counselling and Multiple Pregnancy Scans (Twins, Triplets and Quadriplets, and other higher number of multiples).